Online training, community workshops, public events, interactive webinars and live events. In the shadow of a colossal mammoth skeleton, Alphachimp provided graphic recording for the Community Foundation of Des Moines speaker series Nonprofit Leadership Dialogue. 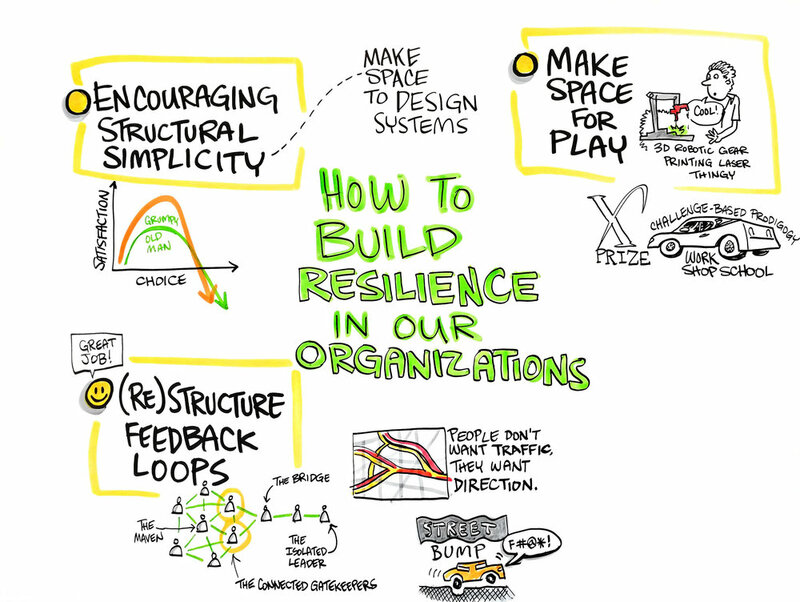 Andrew Zolli, Co-Author of Resilience: Why Things Bounce Back, led a day of discussion about the emerging field of resilience. He shared social innovations and vital new approaches that will guide us in constructing a more resilient future for our organizations and communities.